Rhode Island could lose one of its two U.S. House seats and maybe federal money too. Can it come together to ensure an accurate census count? 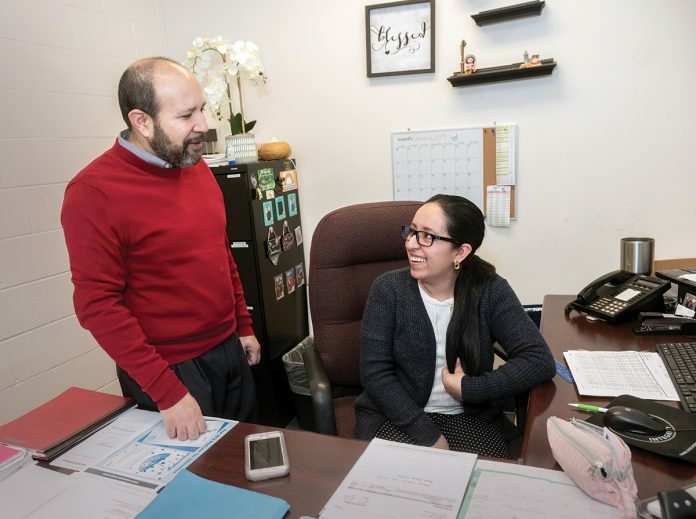 HIGHER PRIORITIES: Mario Bueno, executive director of Progreso Latino, a nonprofit that provides comprehensive social services to Latin Americans in Rhode Island, speaks with Johanna Tones, bookkeeper. Bueno said the 2020 census is not as high a priority for immigrants as other, more-pressing concerns, such as working and housing.